My entire breeding philosophy is based on adherence to the breed standard. So although my website has a lot of information about my farm and ponies, it is important to also visit the sites linked here to the left (if you haven't already!). I recommend the Fell Pony Society (FPS) website, as the FPS, in England, is the official governing body & registry of the breed worldwide. There are daughter organizations, and affiliates, such as the FPSNA, but Fells in every country worldwide (except Holland, they have their own) follow registration protocol and receive papers (called passports) thru FPS. The FPS website also contains the breed standard, judging guidelines, show results- just about everything of true importance to the Fell Pony! The Fell Pony Society of North America (FPSNA) is the largest & only truly active Fell Pony organization in the United States. This is the best American resource I know of for Fell owners & enthusiasts. Their newsletter is amazing! The Fell is considered an endangered breed, due to low population numbers worldwide. The Fell Pony is on the 'Watch List" of The American Livestock Breeds Conservancy (link here http://www.albc-usa.org/cpl/fellpony.html ). 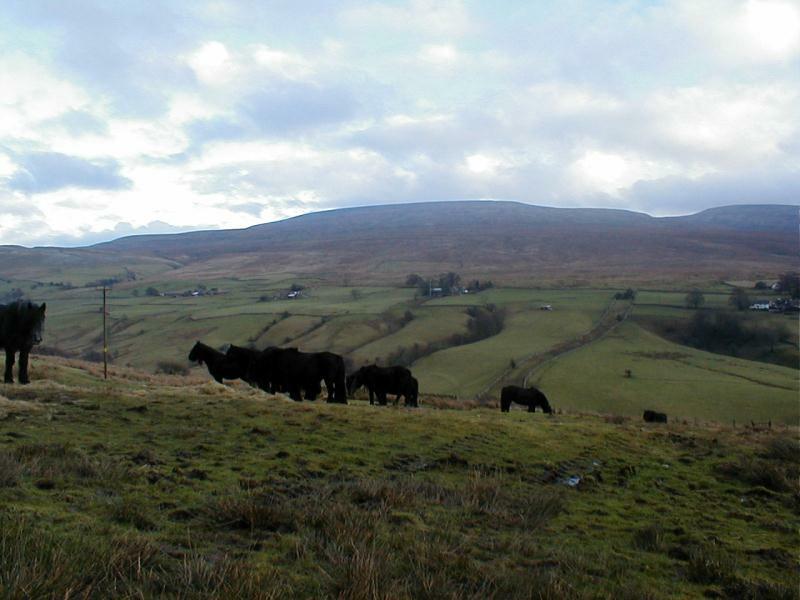 Additionally, the Rare Breeds Survival Trust considers the Fell 'At Risk' (linked here https://www.rbst.org.uk/watchlist.pdf ). Fells are considered one of the 11 Native Pony Breeds, that is, native to the United Kingdom. Welsh ponies and Connemaras are other examples. 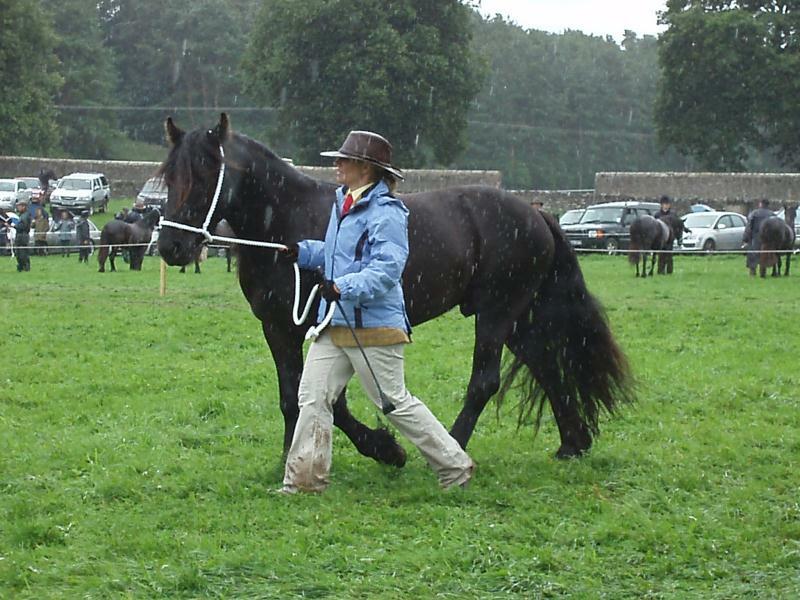 Genetically, Fells Ponies are considered to have given the Gypsy Horse its foundation. Both breeds are from the same region in England, but the Fell has a significantly longer traceable history, by hundreds of years. How would you describe the Fell Pony? Versatile: Fell ponies can do anything! Perfect on trails, competitive in dressage, historically one of the best breeds you can find to put to a carriage, easily able to jump much higher than their height would suggest, intuitively very responsive to natural horsemanship techniques...the list goes on. All this combined with their natural beauty and hardiness. Good Things Come in Small Packages: Fells have a top height of 14.0 HH, perfect for both adults and children. Their build and structure allows them to carry most any adult rider easily. Their shorter stature means they are very easy to work around, from a practical standpoint. No reaching to bridle! Easy keepers as well, they require less feed than a regular size horse, and usually do best on a diet of hay alone. Personality Plus: I explain to people that "I originally bought Fells because of the way they looked, but I chose to breed Fells because of the way they think". Fells are very intelligent and are quick learners. They remember their lessons like no other breed. It is up to the trainer to teach them only good things! They are also one of the only breeds I've discovered that are truly looking for a partnership with their owners. This is why I rarely if ever have problems with Fells such as barn sour, herdbound, rearing or bucking. They just don't do it. They want to spend time with their people. Worth Saving: After visiting England and being surrounded by the pony's natural environment, I have a true appreciation for what these ponies are about, why they move and think the way they do, and why they must continue to do so to remain true-to-type Fell ponies. The breed is considered endangered and the gene pool is small. I feel compelled to take part in their preservation. 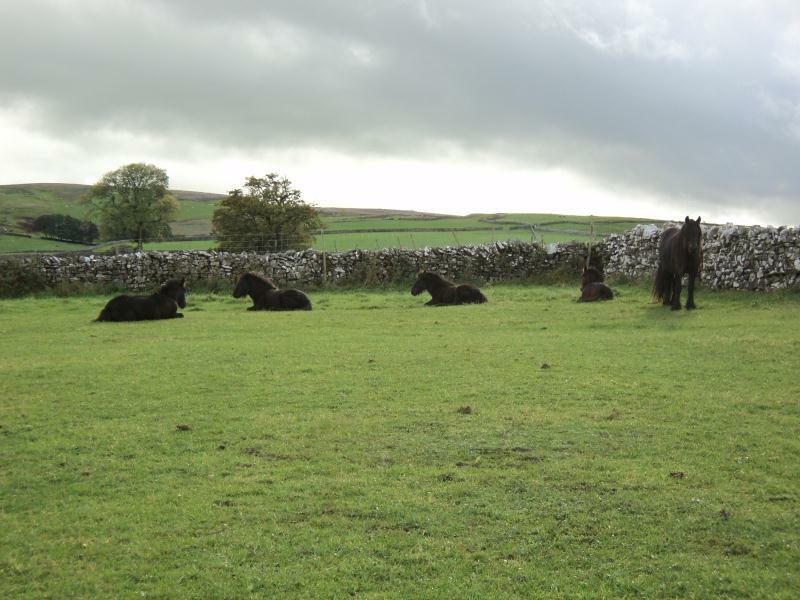 Where do Fell Ponies come from? Cumbrian region of England, the northernmost county just under Scotland (see map above). It is here they are found in greatest numbers, throughout history and today. 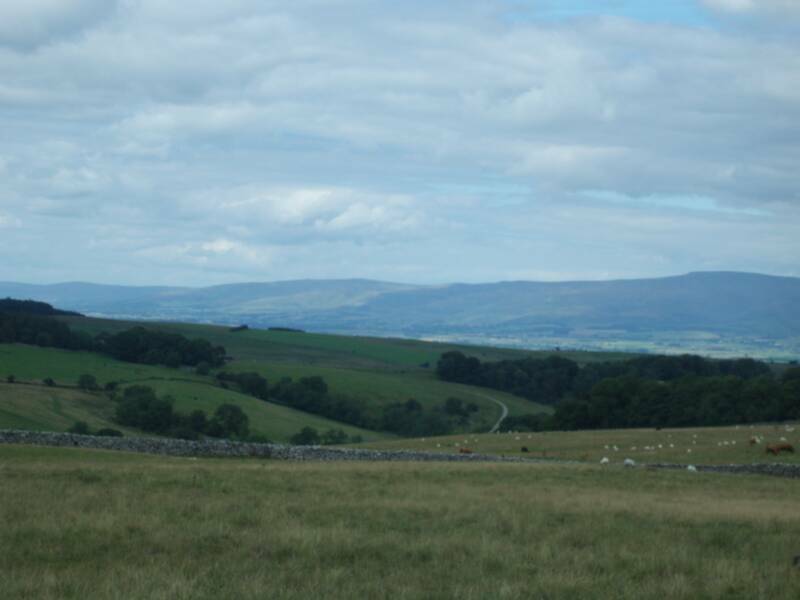 Visit Cumbria with me, by clicking on the photos above. It's a pony, so it's a kids' horse, right? This is one of the common misconceptions of the breed, an assumption which I think occurs because of the word 'pony'. By all means a well-trained Fell will make a wonderful children's mount, but they are so much more than that. The Fell is one of the largest pony breeds, up to 14HH. Their drafty type & bone structure means their weight carrying ability far exceeds any horse of the same height. Adults of almost any size can ride a Fell safely. As a breeder, most of my ponies have gone to homes where an adult is the primary rider, but children, based on their ability, also ride or have lessons. I've used my own well-trained Fells to teach riders aged 5 to 50! So this is like a mini Friesian, right? NO! If I had a dollar for every time I heard this at an expo...because this is the most popular misconception of them all! I understand why people think that. 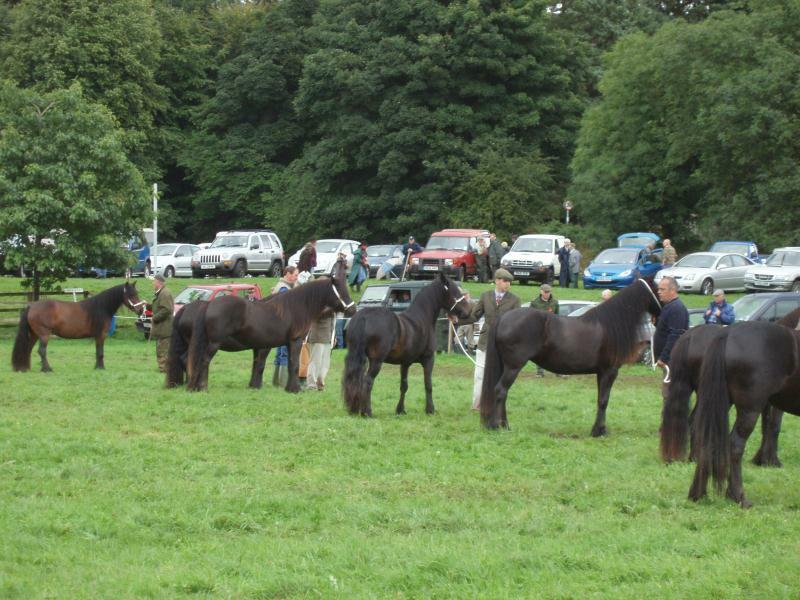 Over 90% of Fell Ponies are black, the long hair, the feathers, the draftiness. But genetically they are two different breeds. I've owned both breeds, so I can give my biased opinion & answer by saying yes, Fells may look similar to Friesians, but better! Fells were bred to be hardy, easy keepers. Most get by on grass hay. Very low incidence of colic, or laminitis, or lameness. The Fell is not a hothouse flower! The Fell is much more practical to keep. Since it's smaller, it requires less food. They are easier to groom & tack up, again because they are more compact. In my experience, the Fell is easier to train and has virtually no problems with bad habits such as bolting & spooking. And best of all, Fell prices are much lower than the cost of buying a similar Friesian! Where does the name 'Fell' originate from? 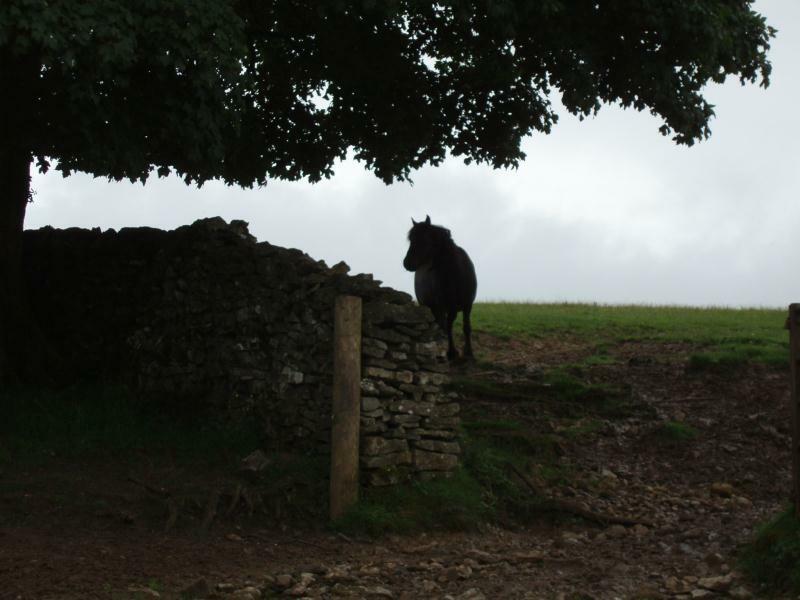 Fell Ponies are named after topography of the region they are from, the Cumbrian Fells. 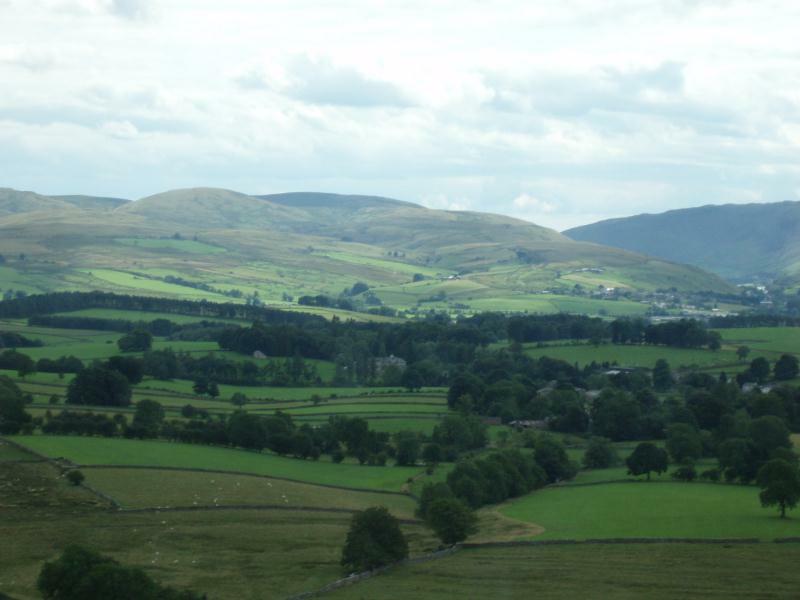 A fell is basically a really large hill, but not quite a mountain. Almost like some Midwestern ski hills. So, a Fell Pony translates into: Hill Pony. The word is actually of old Norse background. Fell ponies are some of the hardiest equines around today (& are bred to be so), with some herds in England still being raised in a semi-feral state, kind of like American Mustangs. 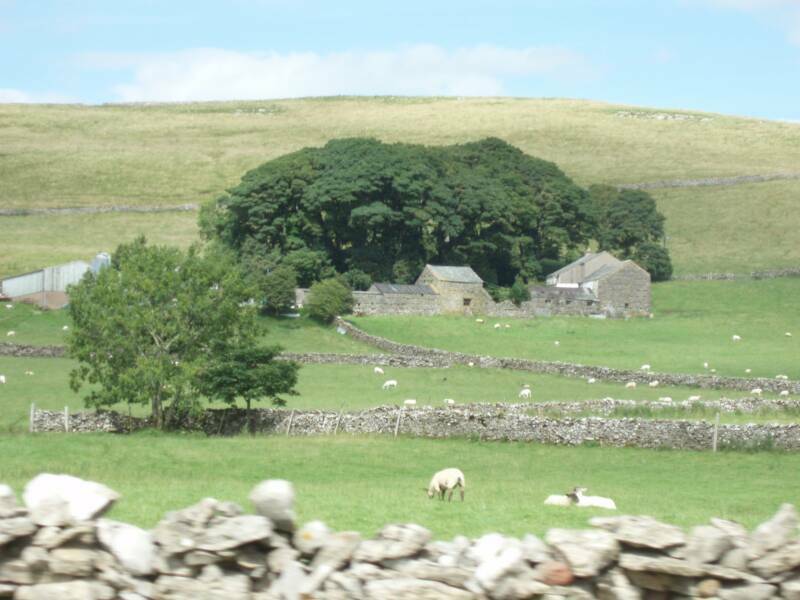 This means although they receive the basic care necessary for proper stewardship, they are otherwise left alone for large portions of the year out on the fell. 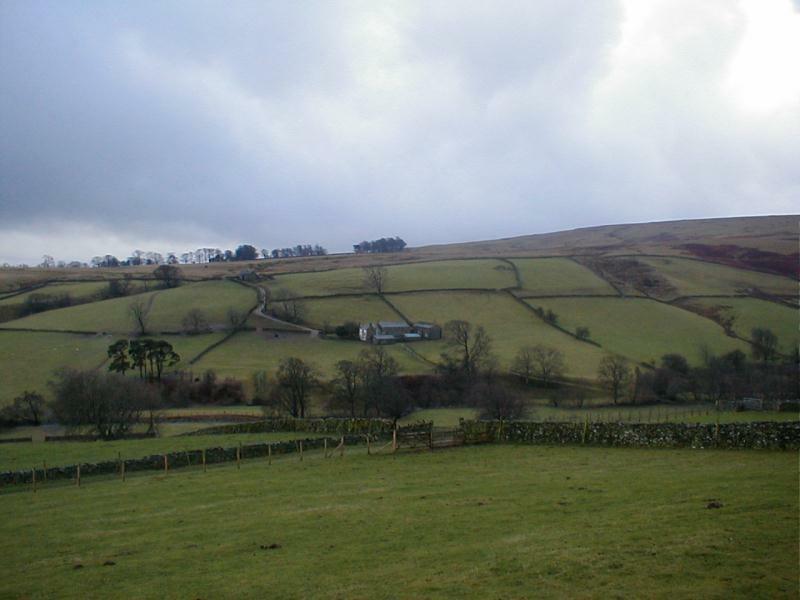 The word Fell can describe the hill itself, and also their use as large common areas of agricultural land several breeders and farmers share.